Above – DVD cover of the restored 1929 film. “…stylish evocation of Jazz Age London…” “…ranging from the opulent West End nightclub to seedy Limehouse.” Not in the exhibition. This photo exhibition is on until 11th Nov 2018 at the Museum of London. Their website says adult tickets on the door are £12 (£9.60 concessions), but when I arrived the sign on the desk prominently said £13.50. I emailed them later and got the reply: “…the ticket price includes a voluntary £1.50 donation.” You get £1 off by booking online, but in all cases this is limited to an entry at a set time. Last Weds, when I went, there was hardly anybody in there. I paid £6 with the Art Fund card, but there is no mention of this at the museum. Watch what you pay! The rest of the museum is free, and very good. London Nights had good reviews, and the £13.50 entrance charge that tourists will pay, meant that my expectations were high. My sense that something fishy was going on with the pricing on the front desk, coupled with my long background in photography, means that this is a critical review. None of the illustrations here were in the exhibition. In the early days of photography plates were really slow, only sensitive to blue light, and needed lots of exposure. Electric lighting, even in Central London, didn’t get going in any meaningful way until the 1920s. Until then photographs at night were mostly limited to long exposures and static architectural views. In 1929 the feature length silent film set in a nightclub, called Piccadilly, came out. This really captures how the upper classes could spend their evenings. An orchestra would have sat under the cinema screen playing the score. 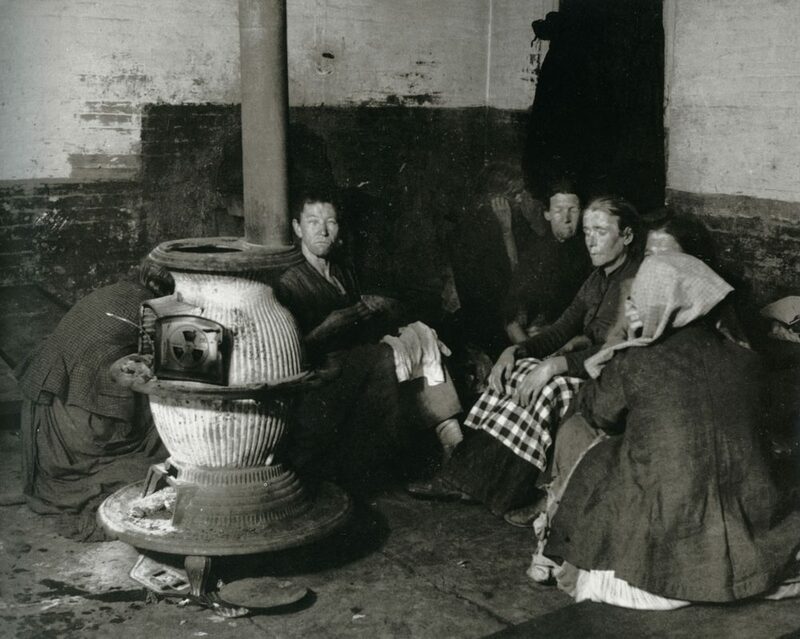 Back in the 1890s Jacob Riis was horrified by the conditions people in New York had to live in. He wrote articles, but nobody took any notice. So he learnt photography and, crucially, how to use flash powder. He then gave slide shows with magic lanterns. There was no denying this evidence. Police Station Lodgers in Elizabeth Street Station, 1893. Photo Jacob Riis. My challenge to the organisers of this exhibition is to find some equivalent photos of London. If they can’t be found it might have been better to include other artistic means of expression for before WW2. 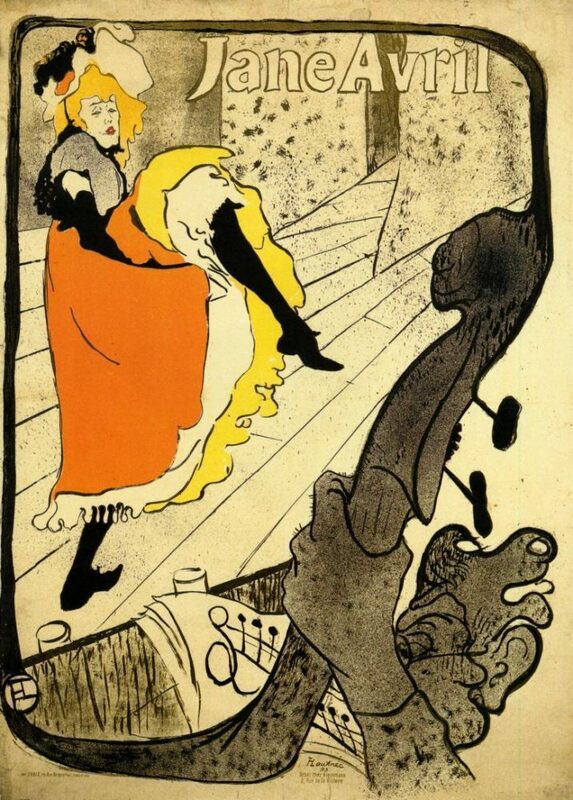 Jean Avril poster, 1893 by Toulouse-Lautrec. Toulouse-Lautrec’s advertising posters in Paris really captured the emotion of what it felt like to be inside these venues. Photographs of the outside of the buildings would never have described this. Static views don’t describe the London we all encounter on a daily basis. People work and collaborate in groups, travel on packed tube trains, walk on busy pavements and spend evenings in lively restaurants, pubs, clubs, and theatres. London without the excitement, the people, is just an empty stage set waiting for the cast to walk on. Far too much of this exhibition, and I include some recent photos, consists of timid, boring, deserted photographs. There are a number of excellent people shots by Bill Brandt. I went to hear him talk at the V&A in the 1970s. By then he was a grand old man. Brandt knew Brassai and his extraordinary photos of “Paris De Nuit” which were published as a book in 1933. Brassai knew his subjects and photographed inside brothels and other places you might have thought were off-limits. He wasn’t a timid photographer, and took great people shots. To my mind these are a much better way to describe a city. At the “inverts ball” by Brassai 1933. As you can see above this couple are happy to pose for the photographer and must have been lit with a powerful light. 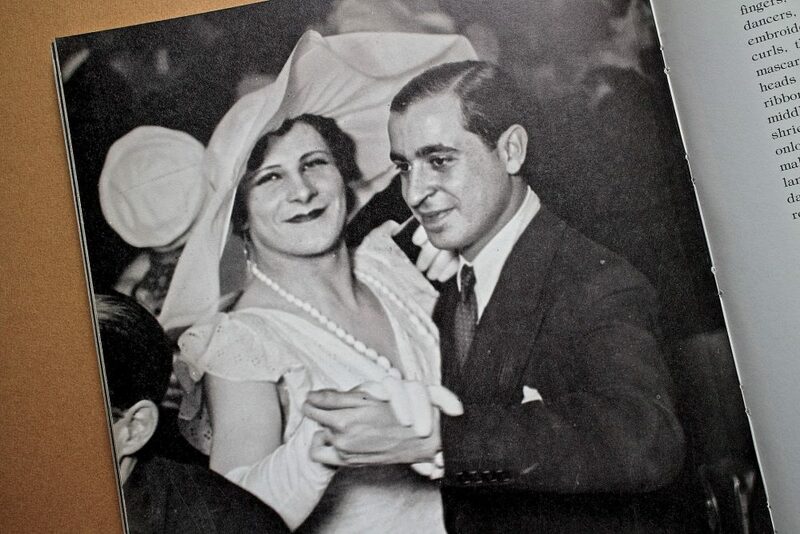 Brassai said; “In 1933 I attended a strange ball: the last of the big homosexual balls at Magic City. The cream of Parisian inverts was to meet me there, without distinction as to class, race, or age…” My version of this book dates from 1976, so there must have been an exhibition in London about that time. Most photographers in England before the war, unless they were shooting weddings and portraits, or working for the press, had to come from the monied class. Bill Brandt had been on a bit of a grand tour and worked briefly with Man Ray in Paris. His famous pictures of the parlour maid and under parlour maid were taken at his uncle’s house. Since exposures were long he posed up his wife to illustrate a street prostitute, and used friends in some of his photos. Set-up shots were a routine way of working then. There are some very good pictures of people in bomb shelters showing what life was like under German bombing. The Ministry of Information commissioned him for this. His other work was mostly commissioned by magazines. During WW2 a lot of working class men learnt photography in the forces. After the war some became legendary press photographers, daily producing gripping human interest stories, and getting properly engaged with their subjects. 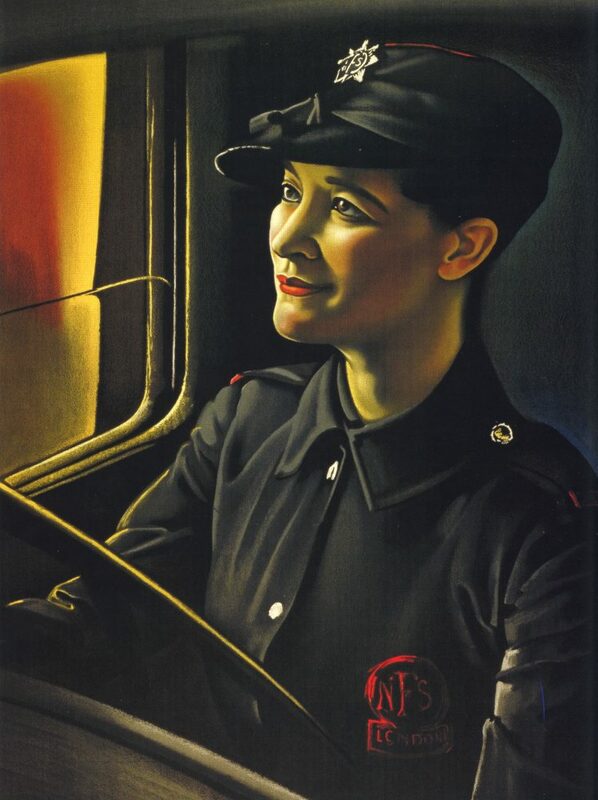 This work is mostly missing from this exhibition: Daily Mirror collection, Getty search 1950s London by night, Doreen Spooner. Towards the end of the exhibition there are some great photos by press photographer, Bert Hardy, around the Elephant. There are some really colourful photos by Nick Turpin, and a couple of recent people shots by Dougie Wallace. He’s not afraid to get in close, and, shock horror for the art photography industry, actually uses flash! 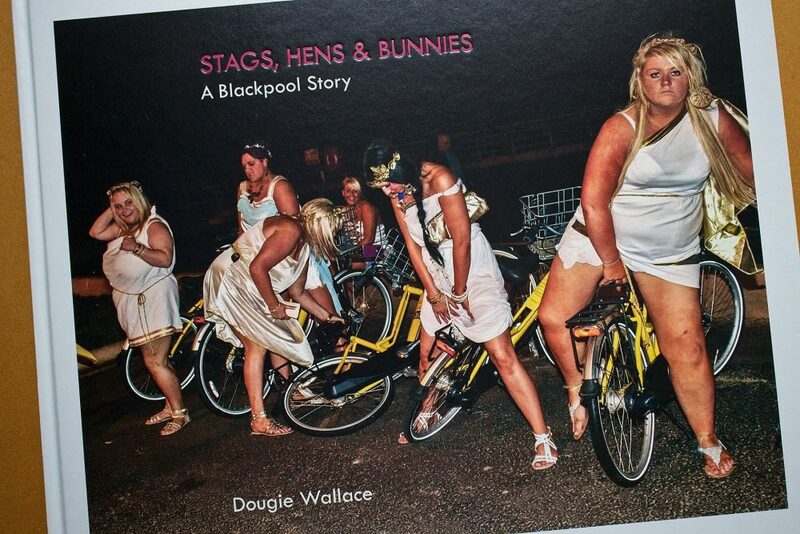 I’ve got two books of his, Shoreditch Wild Life and Stags Hens and Bunnies (below). You get the idea – these photos are FUN. Something that’s largely missing from this exhibition. I think this exhibition could have been better. There’s a lot of competition out there – a quick search on Instagram using the tags #londonnightlife and #londonbynight produced a lot of great contemporary photos. I prefer to be positive on this website. Last night Sheila and I went to see a reworking of Chekhov’s “Three Sisters” at the Yard Theatre, Hackney Wick. This was stunning – I can highly recommend it. The three sisters weren’t exactly moping about the stage – they played drums, electric guitar, danced, sang, and were extremely funny. This was a really high energy performance. This show, combined with the lively bars nearby, provided a great example of what London looks like at night. Enjoyed the review. Interesting stuff.